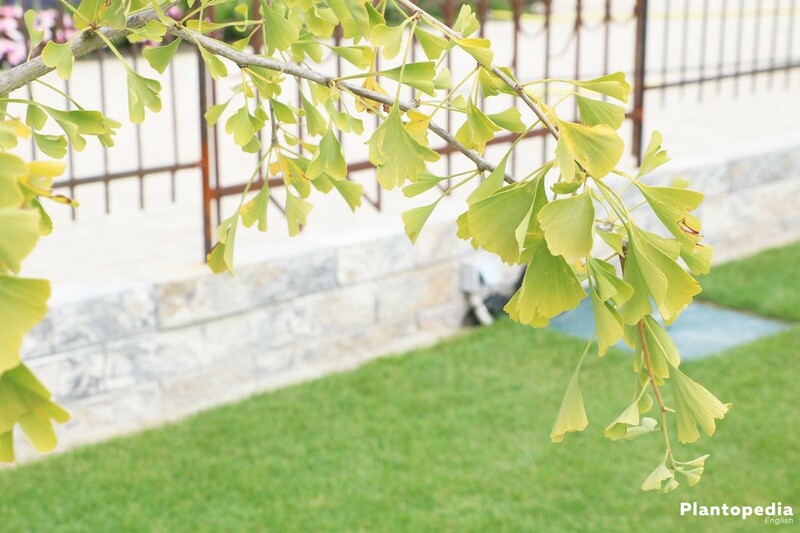 With its beautiful leaves the ginkgo tree possesses a phenomenal appearance and is equally as impressive as many other beautiful blossoms no matter how attractive they may be. 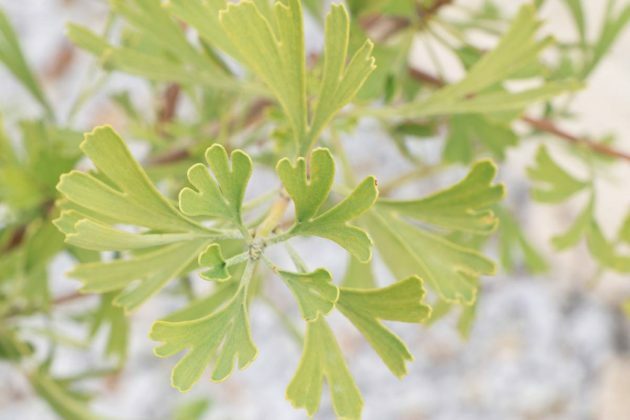 Many myths and legends surround this ancient and fascinating plant. 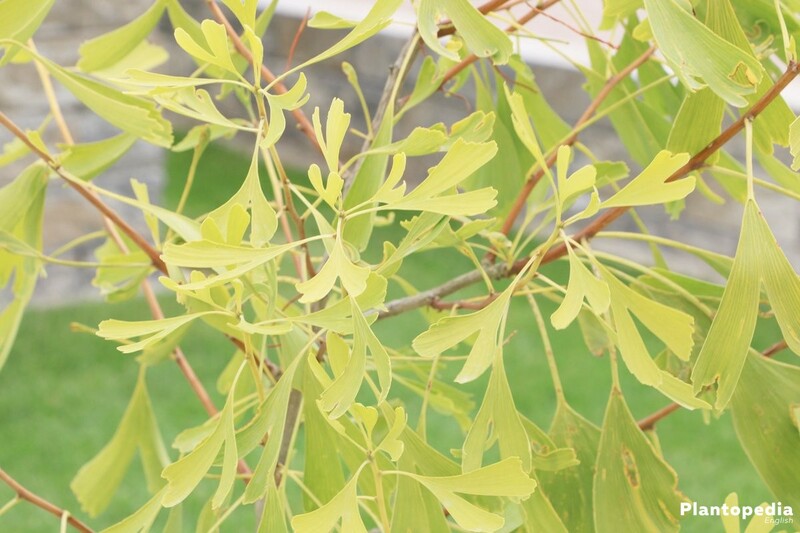 Its initially green, fan-shaped leaves take on a brilliant yellow colour in autumn. All of these characteristics make the gingko tree an unusual and exceptionally decorative eye-catcher in the garden. 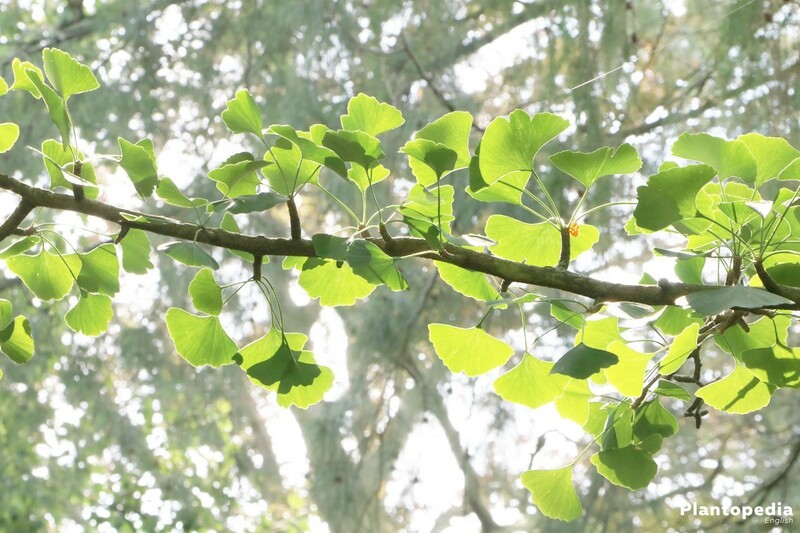 The deciduous Ginkgo Biloba can definitely be called a living fossil, as it is the last still occurring representative of the Ginkgoaceae that have already existed 290 million ago. Ginkgo Biloba is indigenous in Japan and China and can reach heights up to 30 m.
While young trees grow upright and are very slender, older trees grow loosely branched and very expansive. Its attractiveness is especially prominent when grown individually as an optical highlight with a breath taking long-distance effect. Young ginkgo trees in particular need care. Older ones don’t make special demands and can cope with virtually no care. Neither parasites nor snow and frost can do them any harm. 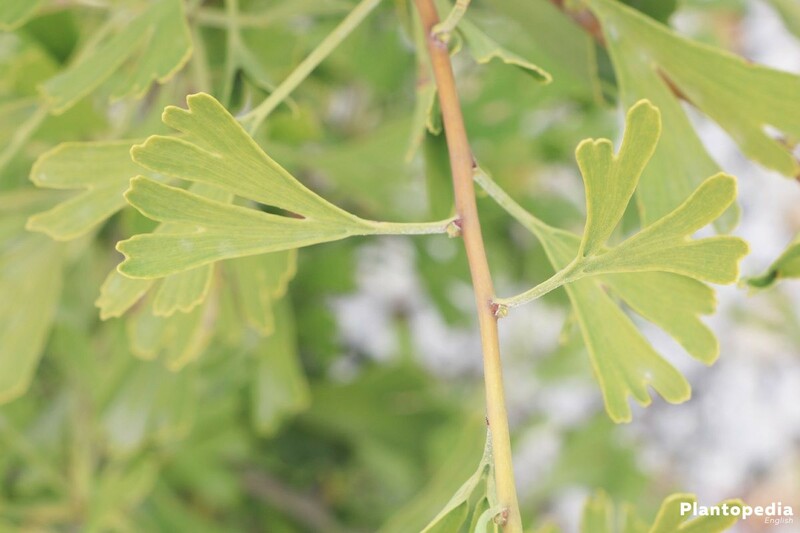 When choosing the site young ginkgo trees prefer spots that are protected from full midday sun. 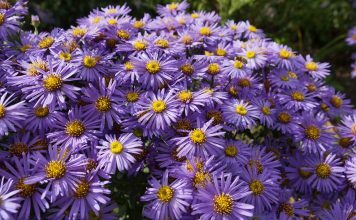 As soon as the plants have settled they love bright sites, including ones with direct sunlight. 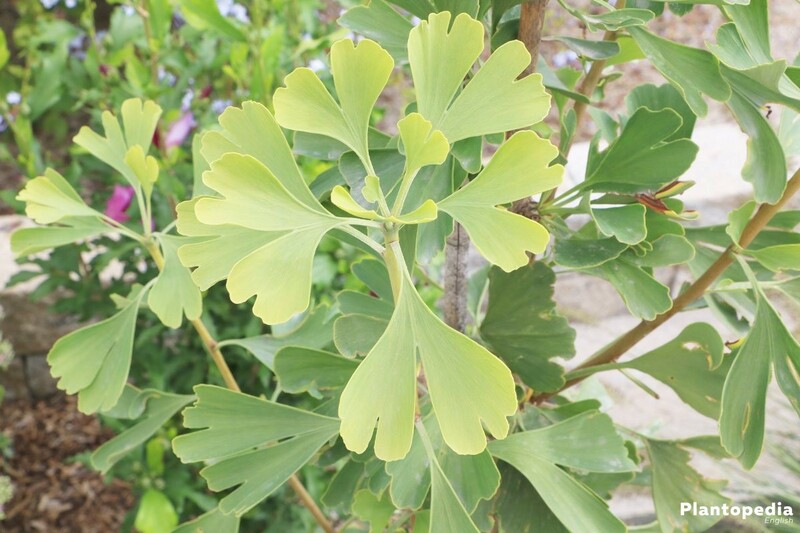 The older the plants are, the sunnier the site can be however, they also flourish well in semi-shade. 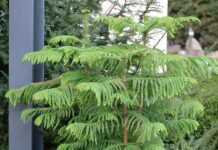 Furthermore, you should take into account that the trees will only grow upwards in the first four to five years and will then start to grow very expansively. Ginkgo Biloba is neither a deciduous nor a coniferous tree. 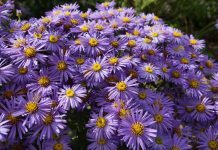 It is also not very picky in regards to the ground and is content with every good garden ground. 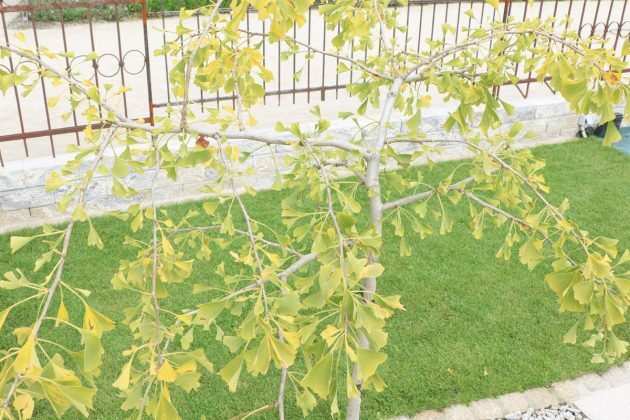 However, it still prefers deep, well-aired and drained, sandy clay soil, which provides him with enough moisture all year round. Because the Fossil Tree will root deep into it, deep ground is important. 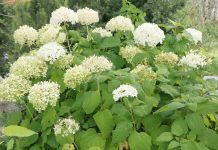 It thrives on acidic as well as alkaline soil and even salts in wintertime and air pollution don’t faze it. With the onset of sexual maturity after about 20-35 years female ginkgo trees will start spreading a very unpleasant smell of butyric acid. Thus, preferably male specimens are planted. 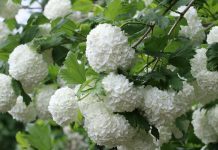 However, if you are interested in the fruit you should at least plant one female and one male tree while keeping the main wind direction in mind because the pollination of the female blossoms is carried out by the wind. 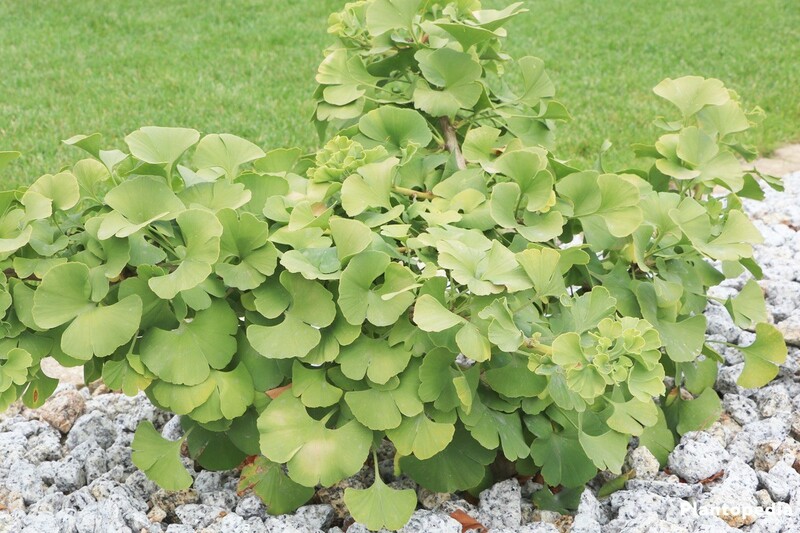 When planting Ginkgo Biloba you should choose a site where it can stay for many years, preferably forever because it doesn’t cope well with replanting. Especially for older specimens replanting proves to be difficult and labour-intensive. Taking root again proves to be very problematic. 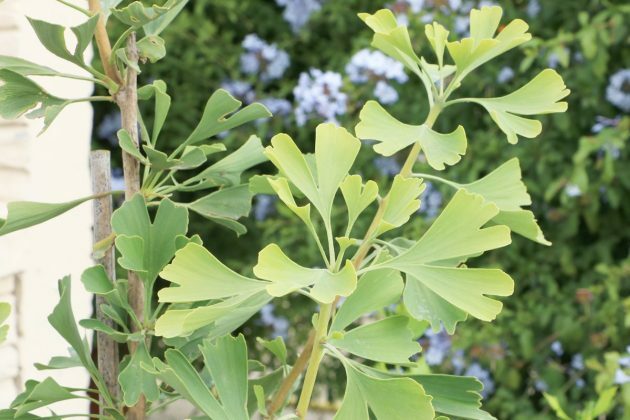 New plantings should be watered regularly and generously in the first weeks after planting. 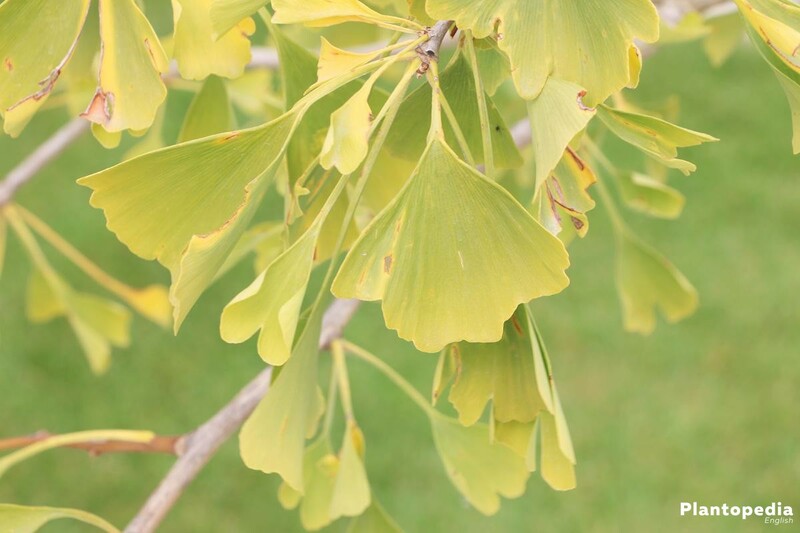 As soon as the young ginkgo trees have taken root at the new site they will only need additional watering in summertime and when there is a continuing drought. 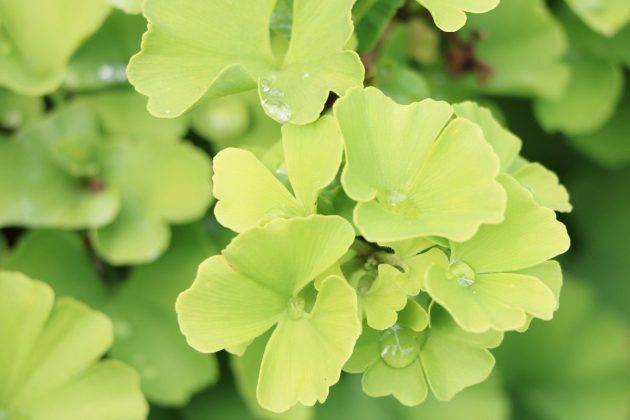 You should only water so much that the soil is only slightly damp and not permanently wet. Continuing drought is as unfavourable as continuing wetness. 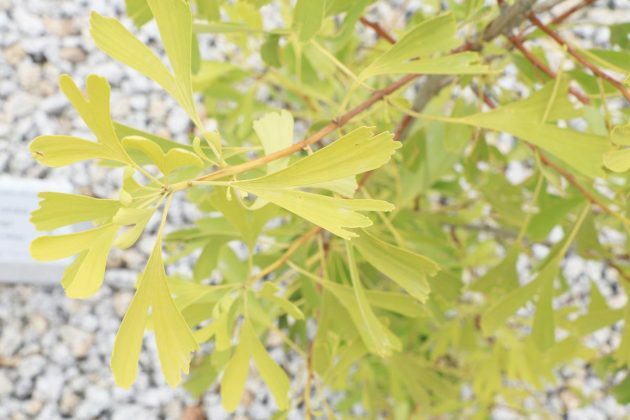 Older specimens that have already reached a height of about 6 m do not require watering. Usually, natural rainfall is sufficient. A layer of bark mulch is not wanted, as it would hinder the airing of the soil. In case you wish to plant the ginkgo tree in your garden after initially cultivating it in a pot, it can take a while until it roots deep enough into the ground. Its growth can stagnate initially. 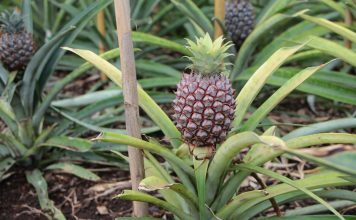 It may grow up to 30 cm per year in the first years, in another year up to 1m but it could also not grow at all and it is all regardless of its nutritional and water requirements. 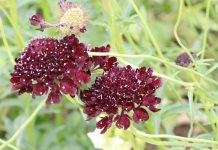 Therefore it is not absolutely necessary to fertilise, even on rather meagre soil. 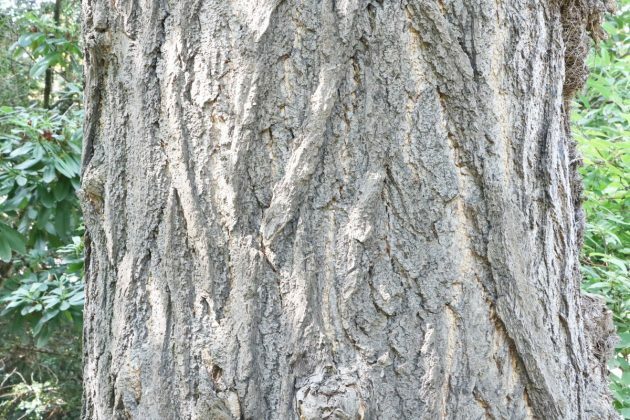 After all this tree isn’t the oldest tree on earth for nothing. It is able to provide for itself, for example with its falling leaves given the fact that they are left at the roots in autumn. 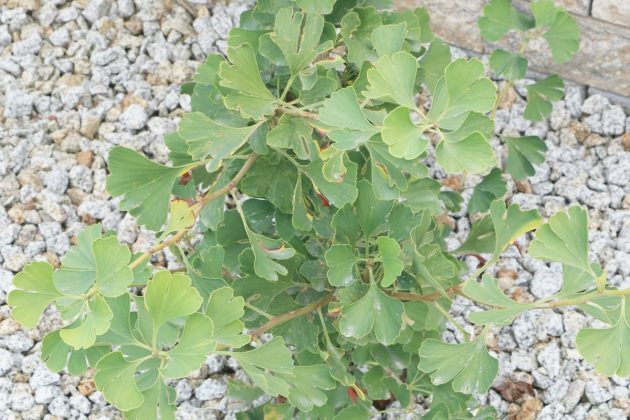 Nevertheless you can use a complete fertiliser once or twice a year if necessary. 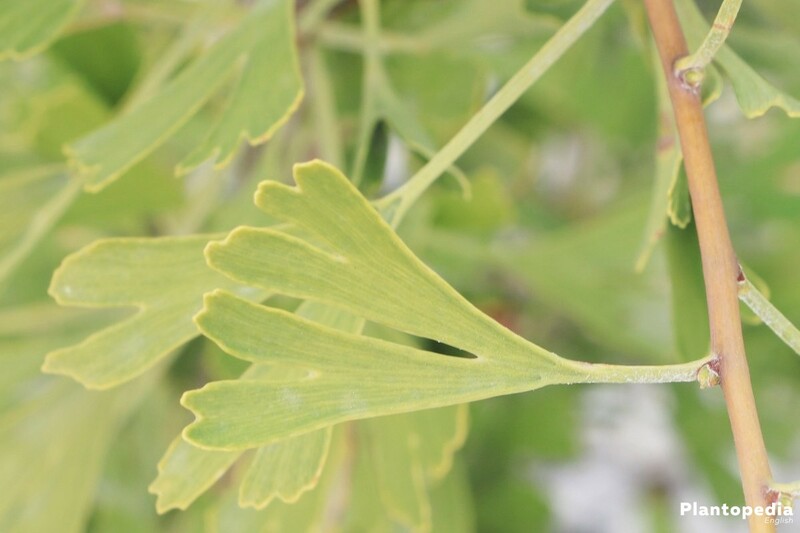 Ginkgo Biloba does not necessarily need trimming. However, a shaping trim in springtime and occasional thinning especially in the first years are advisable. 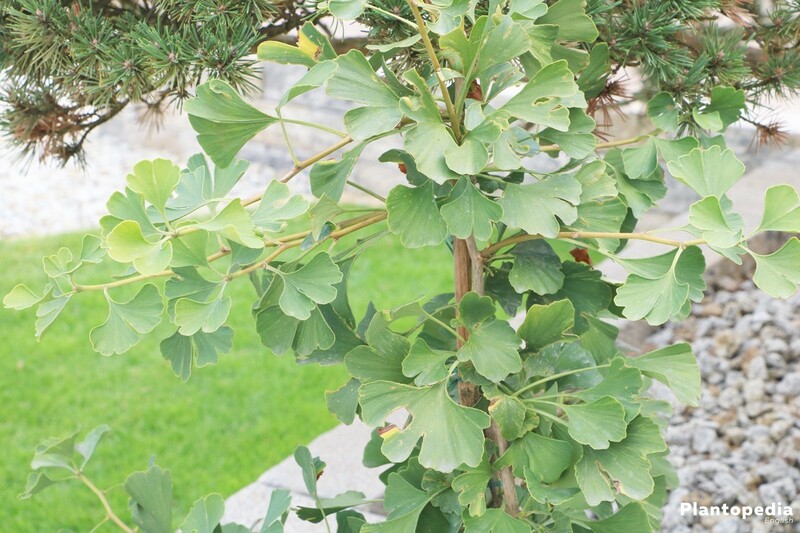 If it stays untrimmed for years and only then receives a radical trim it can quickly look mutilated. 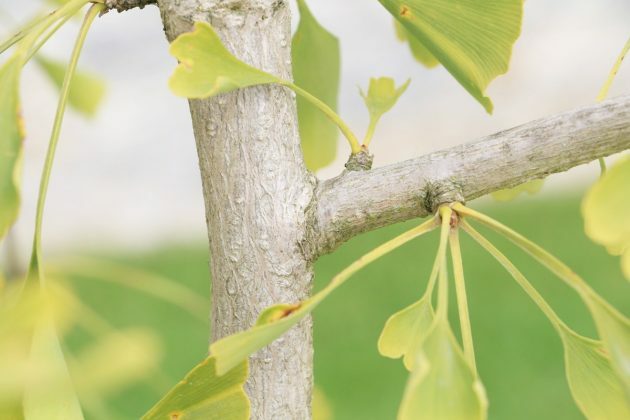 As long as the ginkgo tree is kept in a pot it should be moved to a light and frost free winter quarter before the first frosts. The tree should not be heated and temperatures should preferably not exceed 5 degrees so it won’t start sprouting. 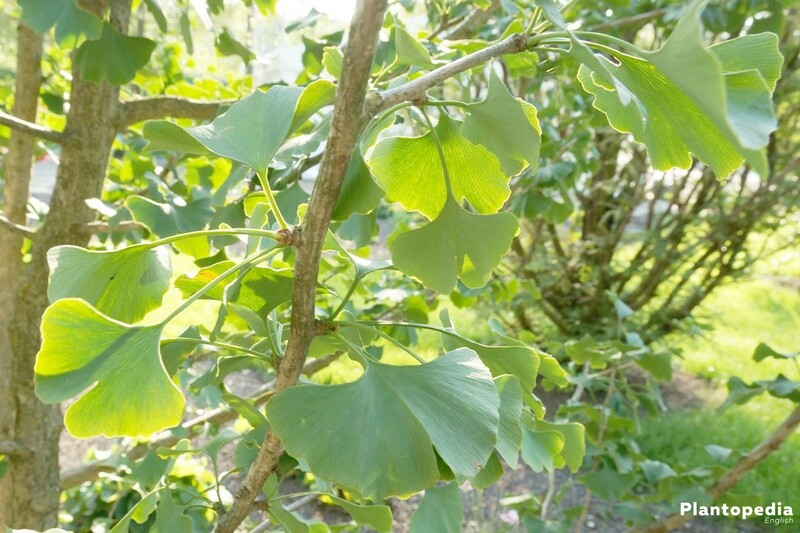 Since Ginkgo Biloba loses its leaves in winter anyway its hibernation can take place in darker spots. 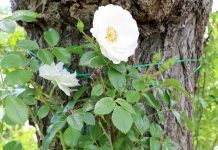 In case the plant still experienced frost because you maybe missed the right moment to take it inside it should not be a problem as long as the roots did not suffer any damage from the frost. 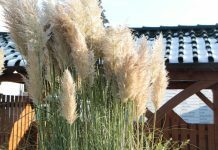 Young plants that have been planted in the garden need winter protection. 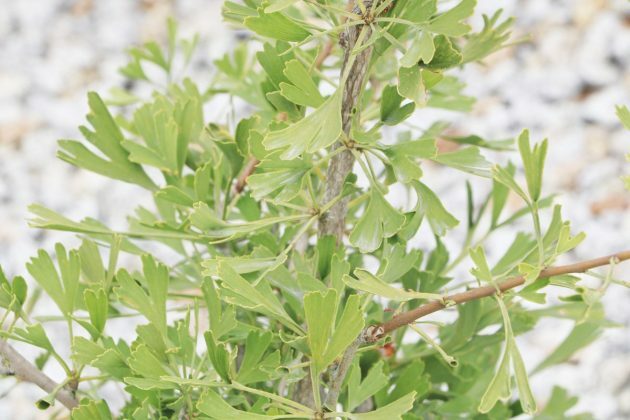 Pine brushwood as coverage is suitable as a protection of the root area. The plant parts that are overground can be wrapped with rush mats. 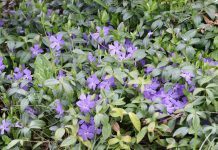 Pad the gaps with dry foliage. 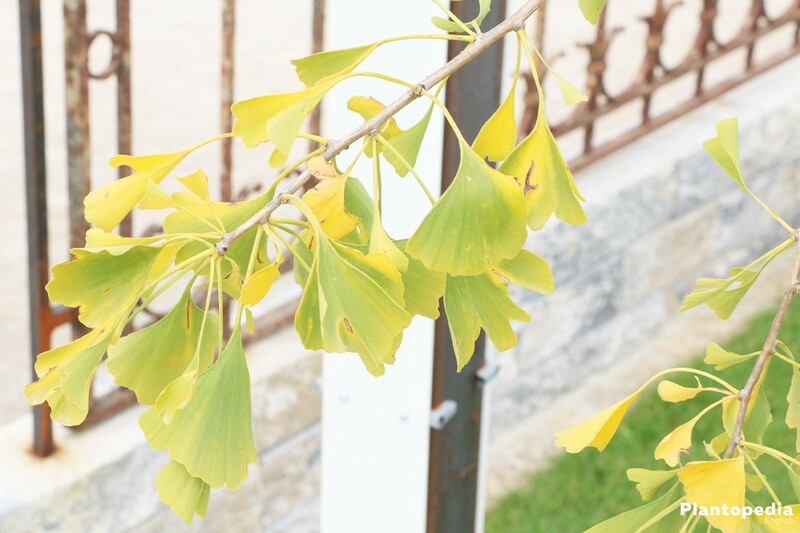 From an age of about four years the ginkgo trees are hardy enough and do not need protection in winter. 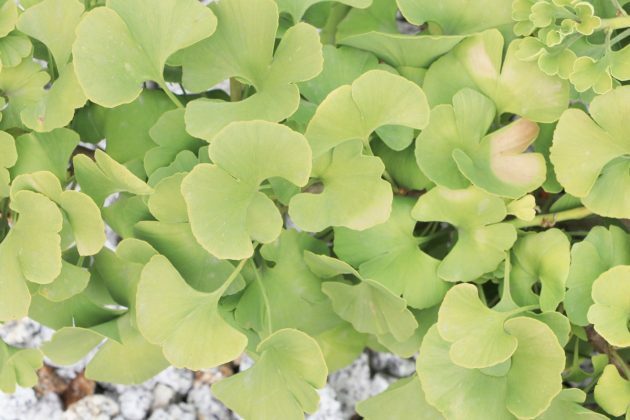 The sowing of a ginkgo tree requires a lot of patience. The germination rate is between 0 and 60%. Around the middle of March is a good time to sow. 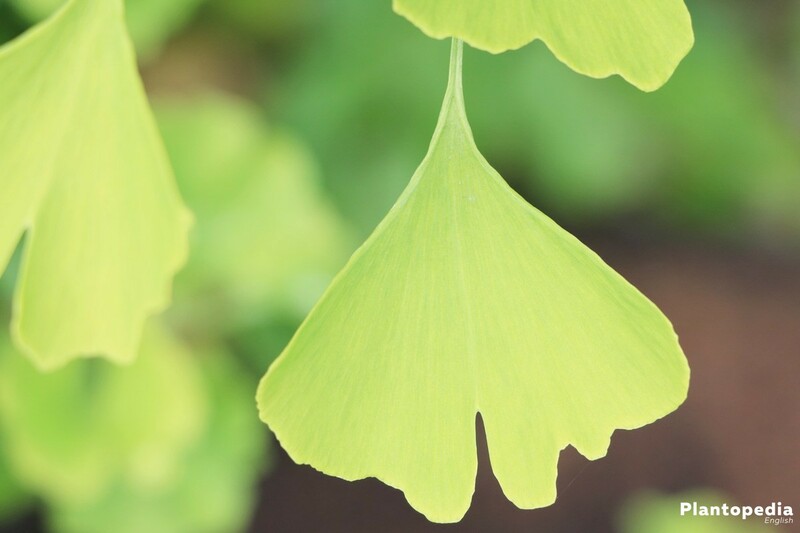 Before starting with the actual sowing, you should scratch the skin of the ginkgo seeds with a knife or file and then soak them in lukewarm water for about 24 hours. The seeds that float on the surface after 24 hours are not germinable and can be removed. The seeds that are left need to be rinsed off thoroughly, dried and can be sowed in bowls or small pots. 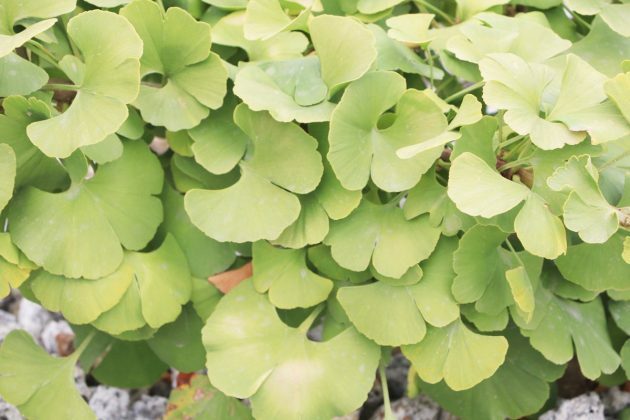 For this purpose, use a propagation substrate that is low in nutrients and mix it with up to 40% sand or water-permeable clay. The substrate should preferably be germ-free. 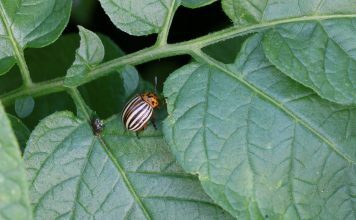 The seeds are put on the substrate and slightly covered with soil. 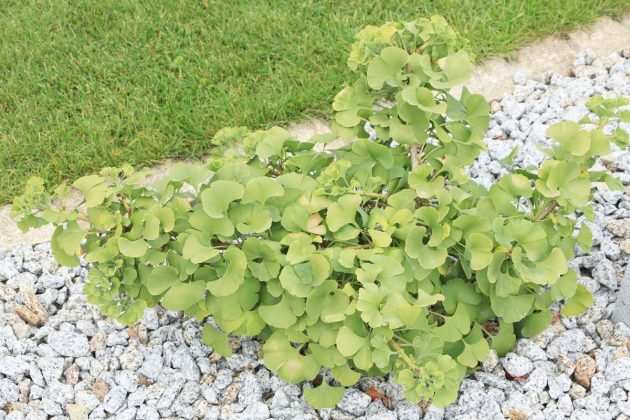 Dampen the soil afterwards and keep damp during the whole germ duration. Put all of it in a light and warm, semi-sunny place. 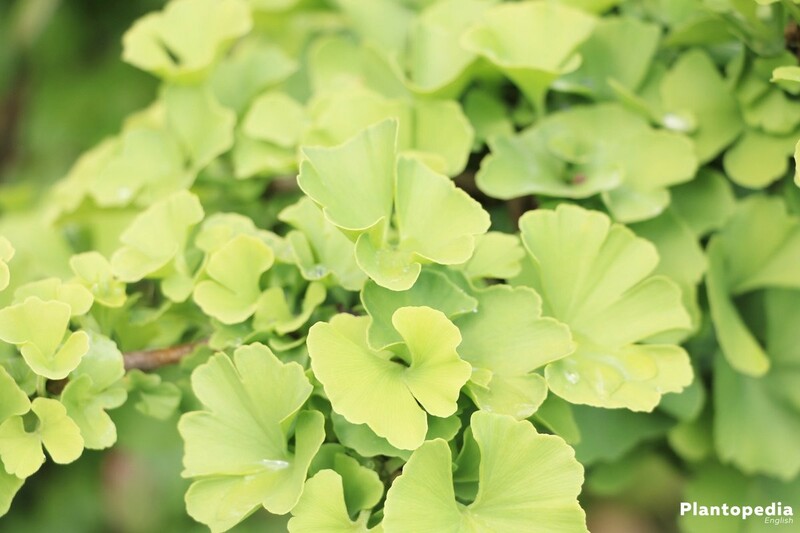 Depending on the ambient temperature it can take several weeks or up to two years until sprouting. 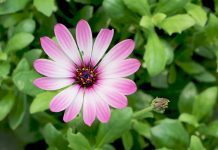 When some of the seeds have sprouted they may from a size of about 15 cm be repotted in small pots and in the following spring they may be repotted in a slightly bigger planter again if necessary. Even after separating them it can still happen that some of the seedlings die. The site should now be a bit shadier. Only when the little plants reach a size of about 30 cm are they more resilient and can be put in a sunnier spot. 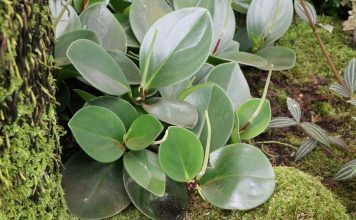 Propagation with cuttings is a little less problematic however, only about 30% of cuttings actually start rooting as well. The cuttings are cut off the mother plant between May and July. 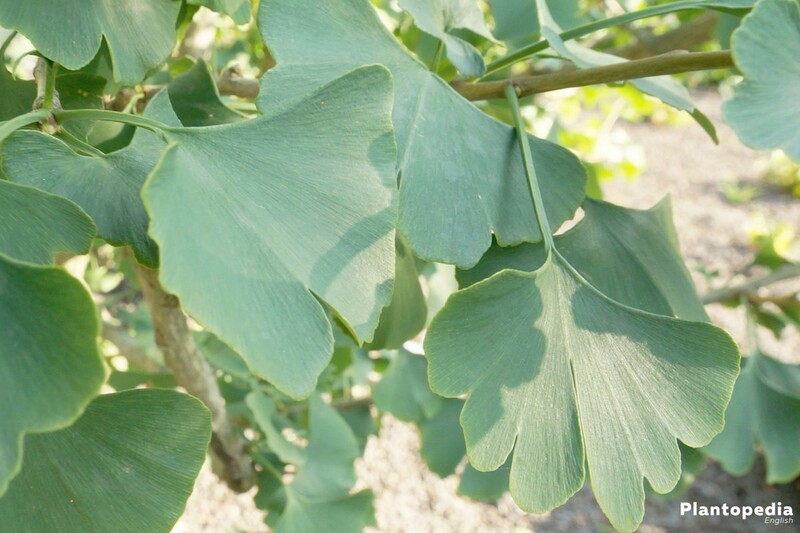 If you do not want to wait as long, the ginkgo tree can also be propagated using an about 20 cm long branch from last year that can be cut between July and August. 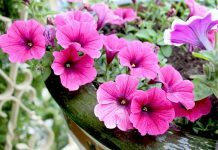 Remove all leaves and put into a pot containing cultivation or sowing soul. 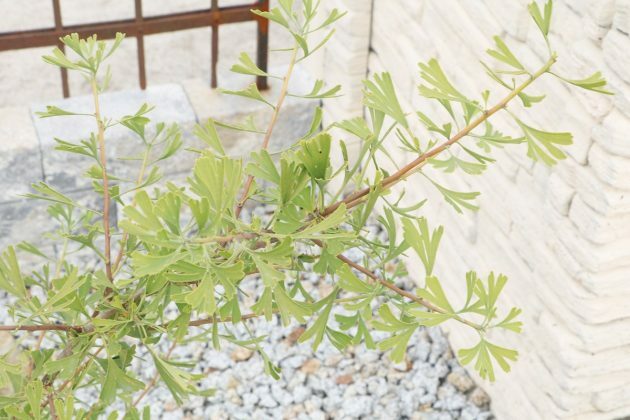 Cover the branch and pot with a plastic bag or glass and keep the substrate evenly damp. Ideally, water on to the saucer. Is a plastic bag is used the branch should not get in contact with it. Remove the coverage every now and then to prevent rotting. At temperatures around 22 degrees you now need to give it time. Ginkgo Biloba proves to be highly resistant towards pests. Except from the sprouting stage it is also well protected from parasites as its leaves as well as its wood and roots are poisonous for most insects. The only animals that can cause it harm are rodents such as hares, rabbits or voles in particular. As a protection from voles in particular the plant hole can be lined extensively with wire mesh or wire netting. 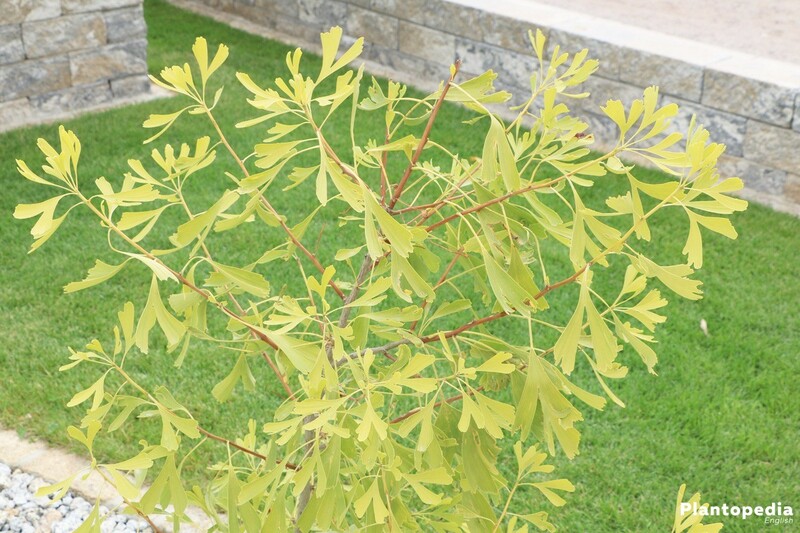 This variety is of a shrubby form and appears very decorative thanks to its crème-white and gold coloured variegated leaves and the brightly yellow autumn colouring. Ginkgo Biloba ‘Varigata’ reaches heights of about 5 m.
This dwarf ginkgo tree is especially slow-growing, has a bushy and cone shaped build with heights up to 5 m. The green leaves are fan-shaped with deep indentations and split at the end and in the middle. Its autumn leaves are of a light yellow to gold-yellow colour. 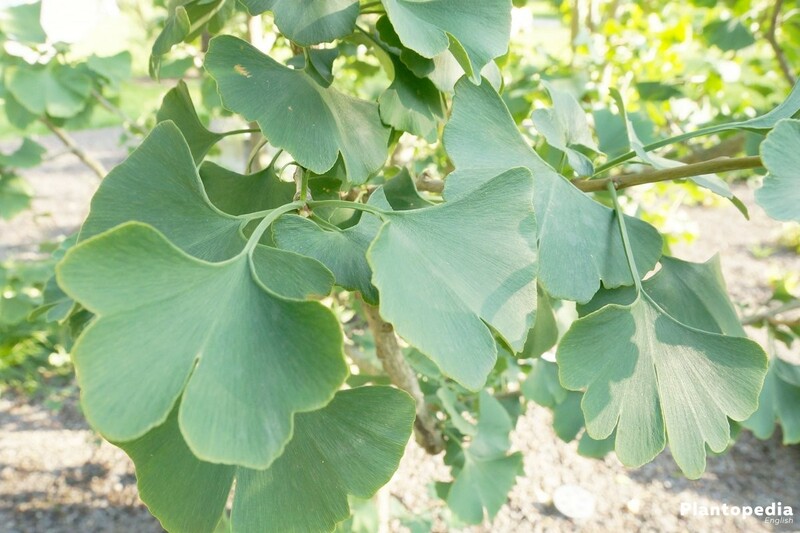 With heights of 200cm Ginkgo Biloba ‘Simon’ belongs to the small varieties that are very suitable for keeping in pots. 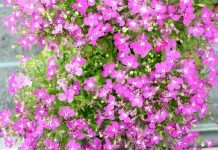 It grows densely and upright. 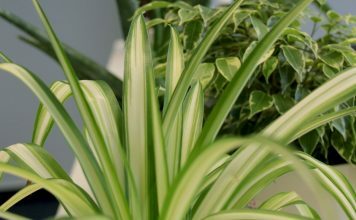 Its leaves are of a light green colour and fan-shaped, almost rounded. 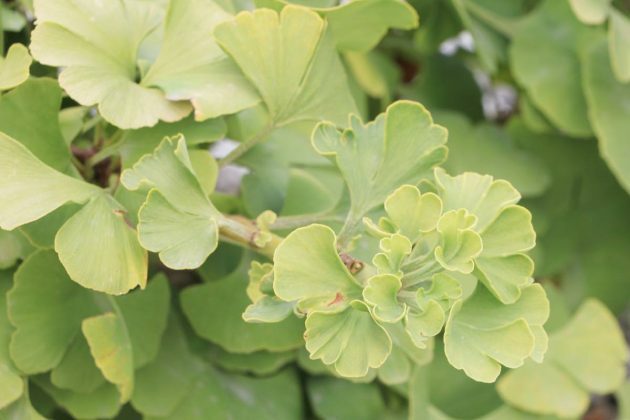 This variety, by the way a male cultivation, is particularly striking because of its columnar growth. 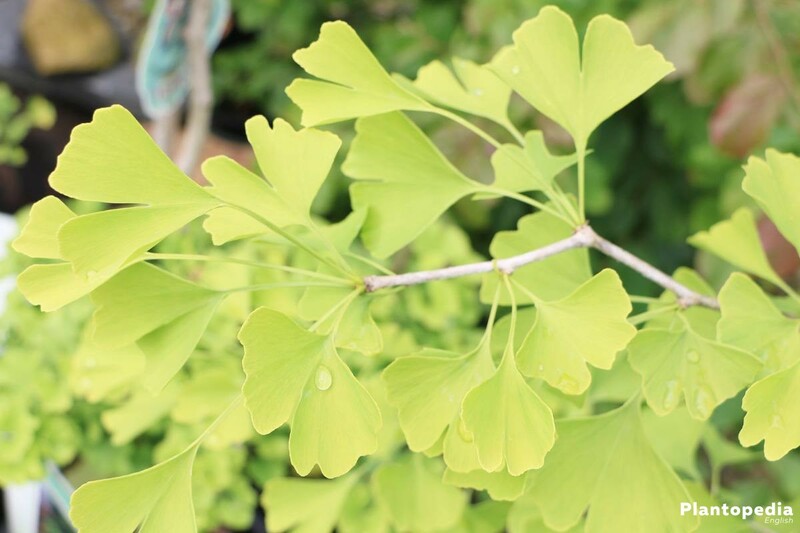 The fresh green, fan-shaped and carved to lobed leaves stand together in bunches and impress with a brilliant yellow leaf colour in autumn. What is striking about this very slow-growing variety are its thick shoots, the spherical growth and the in comparison to other varieties longer-lasting yellow autumn colouring of the otherwise green leaves. Ginkgo Biloba Mariken reaches heights of about 150 cm and is therefore perfect for keeping in pots or small gardens. This small-growing variety will thrill you with fan-shaped, in the middle deeply slitted and especially beautiful yellowy-green variegated leaves. 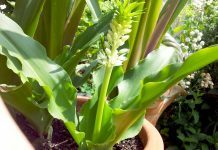 It grows upright, columnar with heights up to 150 cm.